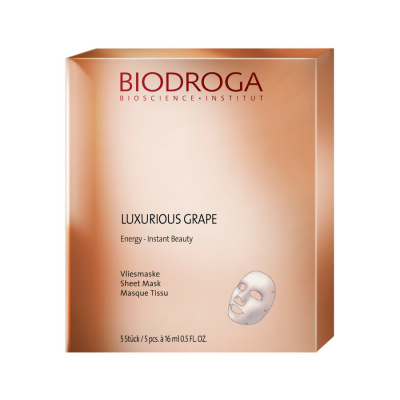 Biodroga Energize & Perfect 24 Hour Care results in a radiant complexion with more resilient and firmer looking facial contours. It has a fourfold effect to skin with the first signs of aging: concealing, anti-aging, anti-puffiness & moisturizing. It offers antioxidant protection, supplies skin with moisture and binds moisture in skin, improves skin’s structure and texture, imparts more elasticity and leaves firmed looking facial contours, counters water deposits, helps to diminish dryness lines and conceals wrinkles. 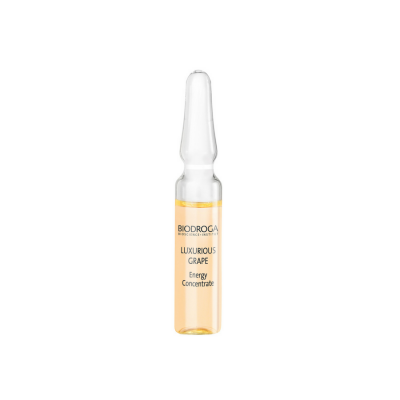 Biodroga Energize & Perfect Refreshing Eye Fluid conceals fine lines, prevents aging, reduces puffiness and deeply moisturizes the eye area. It diminishes skin damage, binds moisture in skin and is characterized by it’s smoothing effect. It has a “slimming effect” and counters water deposits. It gives a “lifting” effect and is efficient against dryness lines, crows’ feet and dark circles under the eyes. 25+. First signs of aging. Normal skin and combination skin. Results in a radiant complexion with more resilient and firmer looking facial contours. Has a fourfold effect to skin with the first signs of aging: concealing, anti-aging, anti-puffiness & moisturizing. Improves skin’s structure and texture. Leaves firmed looking facial contours. Helps to diminish dryness lines. Deeply moisturizes the eye area. Results in a “slimming effect”. Is efficient against dryness lines, crows’ feet and dark circles under the eyes. Energize & Perfect 24 Hour Care: Apply to cleansed skin and massage in gently. 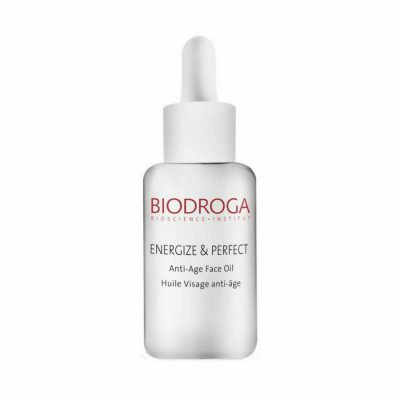 Biodroga Energize & Perfect Refreshing Eye Fluid: Apply to cleansed eye contours and pat in gently. Green Coffee, Vitamin E, Matrix Peptides, Fucogel®, Light Refracting Pigments, Wrinkle-Filler Powder. CONCEALING: Wrinkle-Filler Powder and Light-Reflecting Pigments cause an instant anti-aging effect. ANTI-AGING: For the “beginners” in the anti-aging category, Vitamin E with its anti-oxidant properties and Matrix Peptides were selected. Vitamin E diminishes skin damage caused by UV radiation, binds moisture in skin and has a smoothing effect. Vitamin E is the ideal vitamin for a beautifully textured, more elastic and firmer skin. Matrix Peptides support skin in the formation of new collagen. They provide firmer connective tissues, increase elasticity and help to smooth out fine lines and wrinkles. ANTI-PUFFINESS & CONTOURING: Water deposits in the tissue leave uneven and fatigued looking skin.Green Coffee has a “slimming effect” and counters water deposits. It stimulates fatigued skin cells and provides a relaxed looking complexion. MOISTURIZING: Only skin with sufficient hydration looks fresh and youthful. Fucogel®, a biosaccharide from corn and soybean, supplies moisture. Dryness lines look smoother and skin’s moisture level can be increased by up to 79% in 3 hours. CONCEALING: Fine lines disappear immediately due to light-refracting pigments. ANTI-AGING: Vitamin E Acetate diminishes skin damage caused by UV radiation, binds moisture in skin and is characterized by it’s smoothing effect. Vitamin E Acetate is the ideal vitamin for a beautiful textured, more elastic and firmer skin. Matrix Peptides support skin in the formation of new collagen. They provide firmer connective tissues, increase elasticity and help to smooth out fine lines and wrinkles. ANTI-PUFFINESS & CONTOURING: Green Coffee has a “slimming effect” and counters water deposits. This ingredient is supported in its effect by the highly efficient extracts of BeautifeyeTM. They have a “lifting” effect and support cosmetic firming of the upper eyelid. Crows feet, circles under the eyes and puffiness appear diminished. MOISTURIZING: Codiavelane® imparts a moisture kick to the eye contours. Algae Extract hydrates the entire epidermis and protects the skin against dehydration. Skin around the eyes looks smoother instantly. This product also has a long-term effect.